You can see visible results in just 30 minutes! Lightenex® Skin Lightening Kit is a professional strength regime for safe & effective skin lightening, which can be done at home. As you get older, your skin gets uneven skin tone due to sun damage & other factors. The hyperpigmentation is even worse in Asian & darker skins. 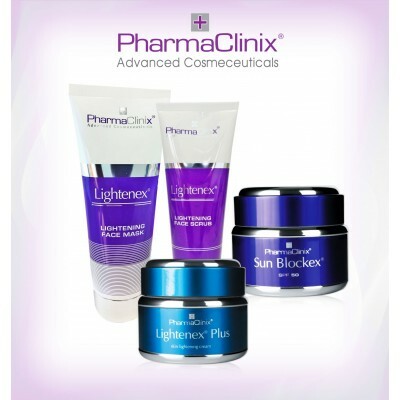 It’s easy to lighten your skin in five easy steps, using the Pharmaclinix Lightenex® range, which has been clinically proven to show a visible reduction in pigmentation within 30 minutes. Wash skin with mild soap & warm water. Exfoliate the skin with Lightenex® Face Scrub . Wash the scrub off with warm water. Towel dry the skin. Apply Lightenex® Face Mask and leave on for 20 minutes. After 5 minutes, apply the Sun Blockex® SPF 50 cream if daytime. (not required if the procedure is done at night). You can do the Skin Lightening Facial at home, on a weekly basis to see a real difference. This facial is recommended by leading Aestheticians & Beauticians worldwide. 2. Sun Blockex® SPF 50 to be applied during the day even if indoors. 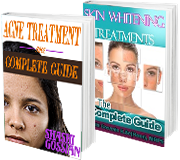 It is recommended that you do the Lightenex® Skin Lightening facials once a week for maximum benefit.